ATTENTION: Check your mortgage ducuments. Pulte homes and lenders have a legal obligation to provide their customers with complete and accurate information. Pulte has commited to amend its practices and bring more transparency into buying and financing a Pulte home. ►Ensure that Pulte Homes Arizona sales representatives do not represent or imply that they are able to pre-qualify Arizona consumers for home loans. ►Disclose orally and in writing that communications between a prospective buyer and Pulte sales staff regarding how expensive a home the consumer can afford to buy do not constitute an offer of financing. ►In one document, clearly disclose: (1) Pulte offers buyers incentives, such as free upgrades or money toward closing costs, in exchange for the buyers use of Pulte Mortgage or other affiliated businesses, and consumers who do decide to use a lender other than Pulte Mortgage will not receive such incentives or discounts. (2) There are other providers of such services, and fees, charges, loan terms and interest rates may vary among providers. ►Ensure that the representations made in its English-language and Spanish-language marketing materials are equivalent. ►Refund $81,400 to 10 Arizona consumers who the Attorney General alleged wrongly forfeited their earnest money deposits after canceling their purchase agreements. ►Pay $200,000 into an escrow account which will fund any new, legitimate claims for earnest money deposit refunds that are filed with the Arizona Attorney Generals Office within 12 months of the settlement. ►Pay $500,000 to the Consumer Fraud Revolving Fund to fund the Attorney Generals consumer protection, education and outreach programs. With the homebuilders owning their own mortgage companies and choosing their appraisers, creative financing has blossomed. Mortgage fraud bilks financial institutions, but it can also be devastating for borrowers and their families. It is, moreover a criminal offense. In 2007 the legislature passed HB 716, that directs the Attorney General to establish a Residential Mortgage Fraud Task Force to investigate and prosecute residential mortgage fraud and the perpetrators of mortgage fraud statewide. Mortgage Servicing Fraud.org This nightmare is orchastrated by a growing number of well-known, corrupt and ruthless mortgage servicers who manufature defaults on perfomring loan to then flood the account with illegal fees strategically designed to STEAL the borrower's equity -- and ultimately the property. In addition, the borrower's credit is destroyed to prevent them from financing with another lender. Read "The Issue". 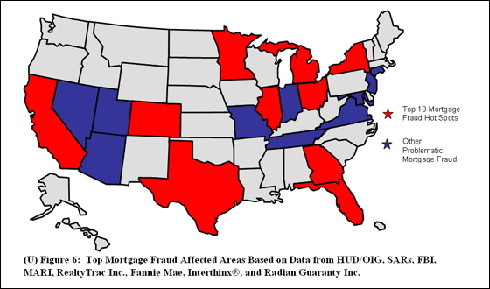 Mortgage Fraud Blog - Central clearinghouse for information on recent mortgage fraud schemes, indictments and prevention. The Mortgage Fraud Blog - For Fraud Prevention Professionals - supported and funded by The Prieston Group. A great source for up to date information. Prevent Mortgage Fraud - "My story of a being mortgage fraud victim and my courses, in general, are designed to arm you with the tools youll need to combat the forces of those who would commit fraud." 206 FBI indictments/informations (down from 241 in Fiscal Year 2004). $1,014,000,000 (FBI) reported loss (up from $429,000,000 in Fiscal Year 2004. Don't let these scams happen to you! Over the past decade homebuilders have established an affiliation with mortgage institutions and created their own mortgage companies. 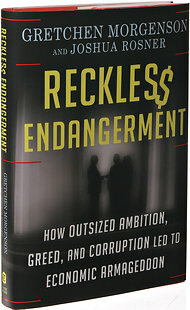 Using unscrupulous appraisers to inflate values and creative financing techniques, mortgage fraud has flourished, causing home foreclosures rates to skyrocket. Builder discounts on the price of the home, washer, dryer, and refrigerator, big screen TVs and gift cards are the common incentives offered by the builder to entice buyers to use a particular mortgage company that usually charges a higher percentage rate. If it sounds too good to be true, it probably isn't. Most homebuilders have a well-trained staff of professionals who often make it easier to buy a home than obtaining a credit card or a new car. The builders staff does all the work while the buyers attention is shifted to the fine details of the more expensive upgrade items, granite counter top, tile, energy savings features and of course the incentive appliances for using the builders friendly mortgage company. Concurrently, the friendly and creative financial staff gathers what they refer to as pre-qualification information by obtaining credit and income figures from the buyer. The objective is to skillfully prepare the electronic financial statement for the buyer that will ultimately become buried in the vast paperwork of the rushed closing, so as not to draw attention to the inflated figures inserted that incorrectly state the buyers income. Routinely, the closing is rushed by over-worked staff of the builder-owned Title Company that dangles the key to the American Dream over the complex stack of papers for homeowners to sign, who are more worried about the furniture in the moving van headed to the house. If caught, the mortgage company simply directs the blame to the buyer by explaining they only inserted the information that was provided to them. Knowing that the chances of getting caught are slim, builders and their associates simply ignore lending guidelines and over-qualify the buyer. The intent is to sell houses, regardless of the means. 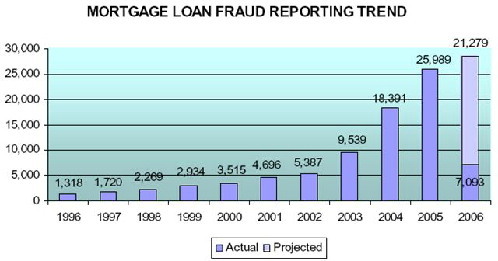 Detecting Mortgage Fraud  Having trouble making your mortgage payment? Check your closing papers, particularly your financial statement for accuracy of income and net worth. 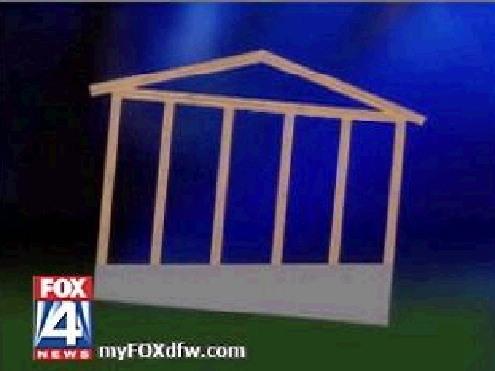 See Special Reports - KB Home Foreclosure Rate More Than Double Other Builders.